Ever since I started blogging, I have been crossing virtual bridges with Malaysia. Once I declared myself as a blog ambassadress but I know that all of us bloggers have been installing virtual linkages within our nation and extending the lines to our neighboring countries and to the entire world as well. These international linkages are not only happening virtually in the World Wide Web, it has now opened doors for all other media as well. 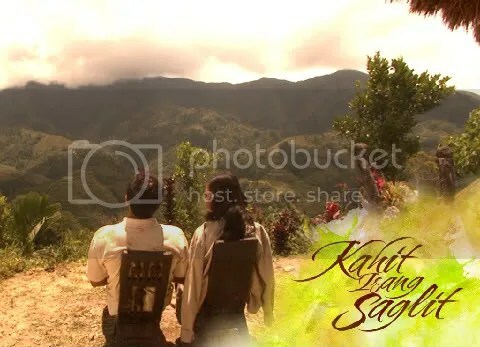 September 15, 2008 is the premier date of the asianovela TV series â€œKahit Isang Saglitâ€ or “A Time for Usâ€ a partnership between ABS-CBN and Double Vision starred by Philippineâ€™s very own Jericho Rosales and Carmen Soo, model/actress of Malaysia. It airs on September 15, 2008 in the Philippines primetime every Monday â€“ Friday, and in Malaysia every Saturdays and Sundays . I personally have Malaysia close in my heart though ironically I havenâ€™t been there yet. But the people I have known online are people worth going there for. Probably itâ€™s because their values are close to ours here in the Philippines. There was even a time where we discussed in Shout Out Lounge about Pangaea and how we all once were linked by land. Now, even if that land bridge is gone, in my heart I know this virtual bridge we have will stay forever.